Aerones is building heavy-lift drones for operations that can get dangerous when performed by humans. 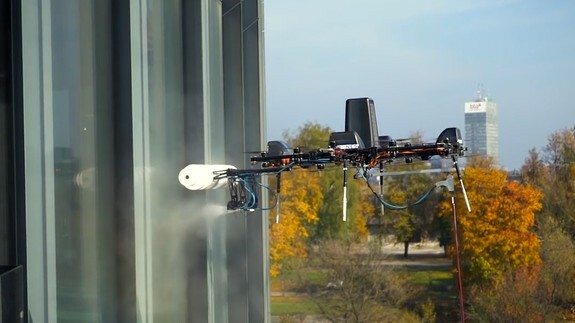 The company has recently unveiled footage of a drone solution for high-altitude window cleaning. In the future, similar drones could be used for firefighting, and the company is already testing this kind of applications as well. Read more.